The liver is the largest gland in the body and is an accessory organ of the disgestive system. Food that is chewed in the oral cavity then swallowed ends up in the stomach where it is further digested so its nutrients can be absorbed in the small intestine. The salivary glands, liver and gall bladder, and the pancreas aid the processes of ingestion, digestion, and absorption. 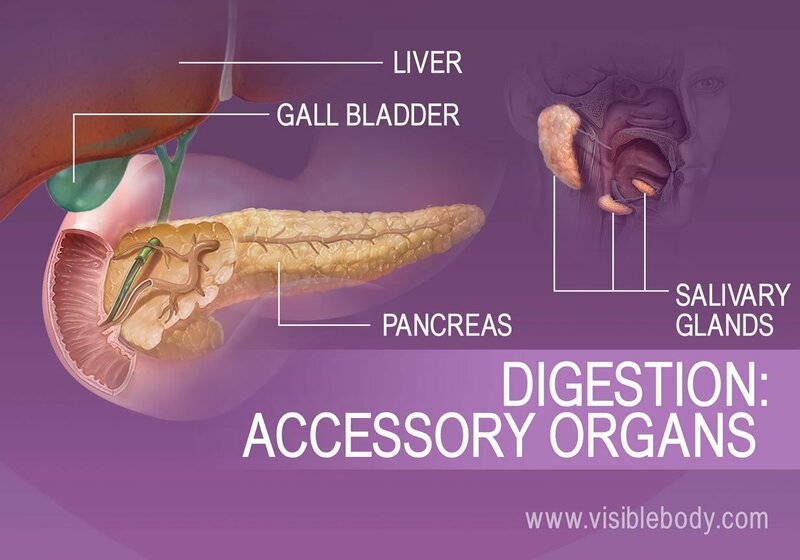 These accessory organs of digestion play key roles in the digestive process. Each of these organs either secretes or stores substances that pass through ducts into the alimentary canal. Six salivary glands, located around the oral cavity, secrete saliva. This substance moves out of the glands into the oral cavity through ducts. Saliva is 99% water, but also contains enzymes and proteins that lubricate the oral cavity and begin chemical digestion of food. 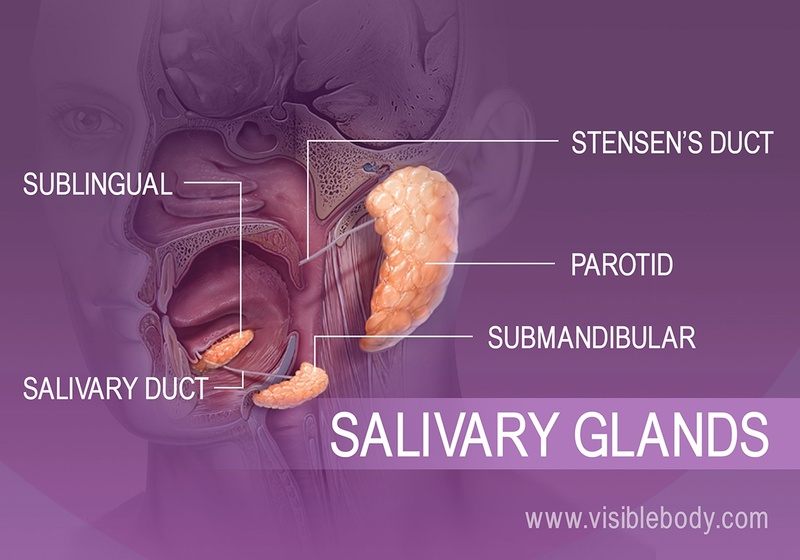 There are three pairs of salivary glands (parotid, submandibular, and sublingual glands) and two ducts (Stensen’s and salivary ducts) on either side of the oral cavity. 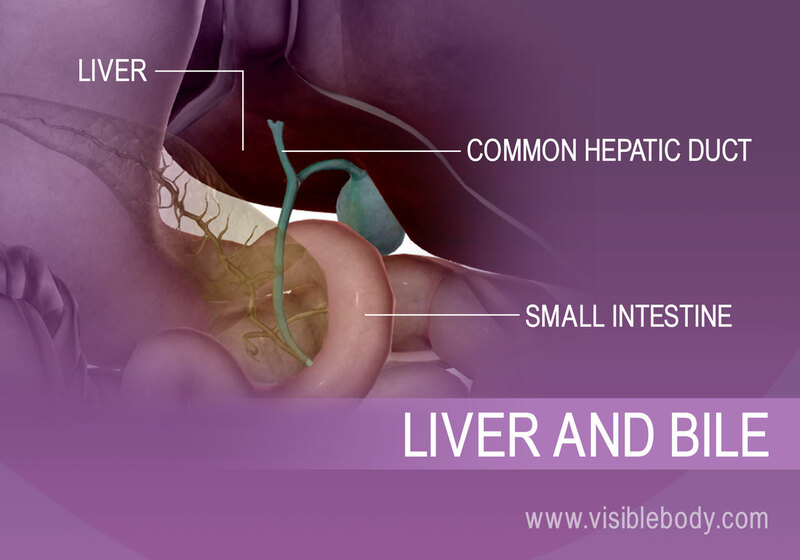 The liver is one of the largest organs in the body and it is continuously producing bile. This yellowish-brown fluid aids chemical digestion by emulsifying fats in the duodenum. Bile flows out of the liver into the right and left hepatic ducts, into the common hepatic ducts, and toward the small intestine to help with digestion and the absorption of fats. If bile is not immediately needed for digestion, it flows up the cystic duct to the gall bladder. The gall bladder is a green, pear-shaped sac about 10 cm or 4 in. long that stores and concentrates excess bile secreted by the liver. 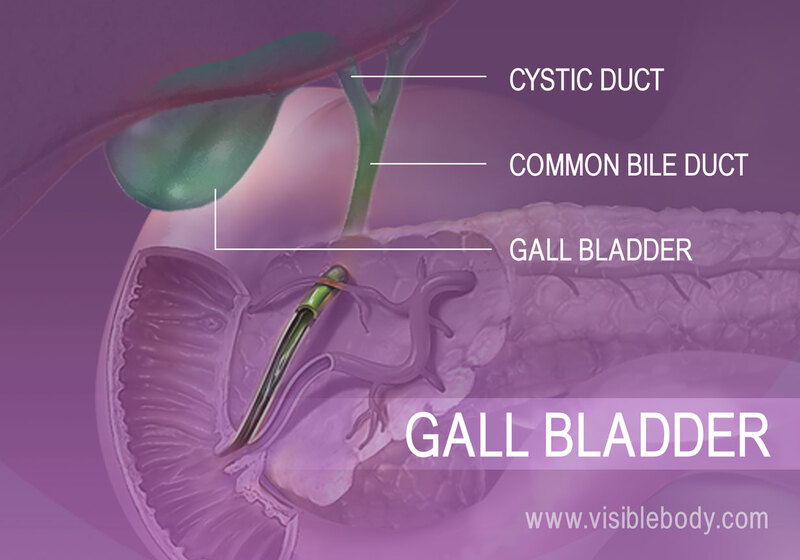 Bile is released by the gall bladder as needed into the small intestine. 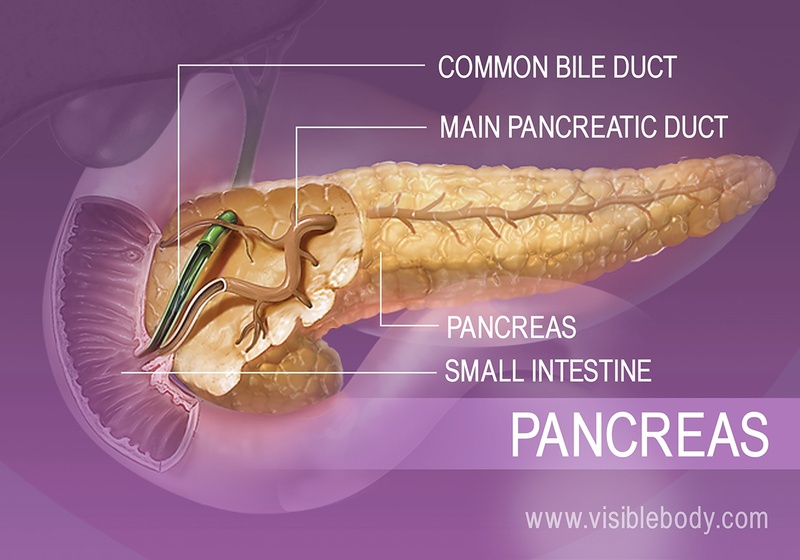 The pancreas secretes pancreatic juice, a mix of digestive enzymes, water, buffers (bicarbonates), and electrolytes produced by acinar and epithelial cells. Pancreatic juice drains through the main pancreatic duct (duct of Wirsung) into the common bile duct and then into the small intestine. There it buffers stomach acids and breaks down protein, fats, and carbohydrates. A cadaver image of the gall bladder from Stony Brook University School of Medicine. The Body Online. A description of the pancreas from the 1918 edition of Gray's Anatomy of the Human Body. Watch an ER physician describe gallstones to a patient using Visible Body’s Human Anatomy Atlas.